I may have mentioned my ” inspiring quotes board” to you in the past; it started out with the intention of being a vision board but soon was instead covered by positive, law of attraction quotes that brought me cheer and has been that way for 5 years now. 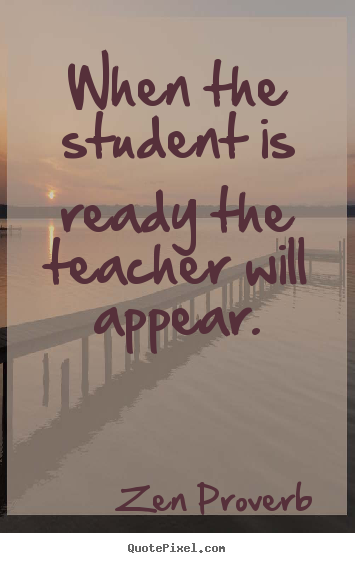 One of the quotes I still have pinned up on this 3′ x 4′ cork board of mine is, “When the student is ready, the teacher will appear.” This quote has special significance for me. While laying in bed one night a few years ago, letting my eyes dart where ever they may on the board that hung on the wall next to my bed, reading the quotes by the light of my bedside lamp, I came to this particular quote, which I had read numerous times before, but found it to suddenly have a completely new meaning to me. I’ll never forget it because reading this quote that time actually made me stop in my tracks and perked my head up, physically and mentally. While I had always interpreted myself as the student waiting for guidance from someone who would have something to teach me along my life path, this time when I read the quote I realized I was both the student AND the teacher. I have always loved school and I enjoy being a student learning from those who have information to share with me, but at that time in my life, I was trying to figure out what I was going to “do with myself,” what career I would pursue, and it was a big decision that was stressing me out. Reading, “When the student is ready, the teacher will appear” that night, I felt I was given a sign of Magicality that I should become a teacher, that I WAS a teacher. 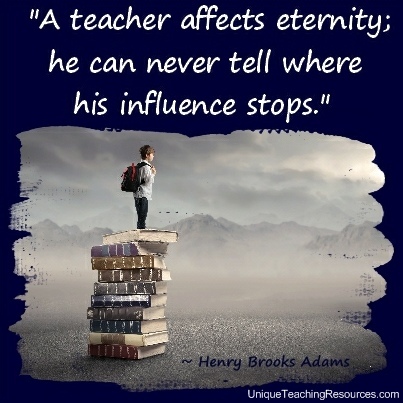 I interpreted the quote to mean that when I was ready, the teacher in me would appear to me; I would recognize the teaching profession to be the profession I was meant to enter. Just thinking about this now gives me chills–it was such an epiphany-type of moment that I will never forget the feelings and thoughts it evoked in me…and still does. A couple days ago was the first time I have substituted in over a year and it was wonderful. Though there have been many times I have questioned the decision to become a teacher, and been resistant to pursuing a teaching job even with my teacher certification completed, whenever I am working in a school, all those feelings of love and energy fill me up and express to me that I am where I am supposed to be, I should accept it and have faith that it will be better than I hope it will be. We’ll see where this all takes me–I am still open to the signs of Magicality as they enter my path and open to the information that the “teachers” I meet in my life have to share with me–but for now, I feel more confident and excited about pursuing a full time teaching position. I am curious to hear what your interpretation was of this quote when you first read it. Does it mean something different to you? 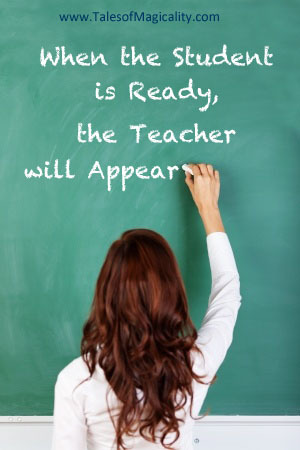 Here’s to being ready when the right teachers appear in our lives! 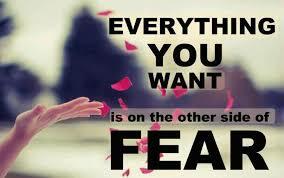 Fear gives us what we don’t want and faith gives us what we do want in life. But often, we are driven by fear. That is a huge component of why we don’t get what we think we are asking for in our thoughts. Maybe you have a business venture you want to go after but you’re afraid of leaving your current job. Maybe you want to take a class but are afraid of failure. Maybe you want to skydive but are afraid of your parachute not opening. Whatever the case may be for you…fear is holding you back. So how do you push fear aside?? Great question! The only true way to do so is with Faith. Faith opens up doors for you where there was once only walls. Faith will move mountains to make things happen. Faith is your answer! I just watched the movie Jobs about the life of Steve Jobs. He always had undeniable faith. Faith in himself and faith in the products he created. He knew that Apple would be a success. He didn’t love a fear-led life. He led a faith-led life. Start believing in the universe fully and whole-heatedly. Know that when you ask for something that you will receive it. Know that fear is ego-driven and made up completely. For the most part, it is irrational thoughts. 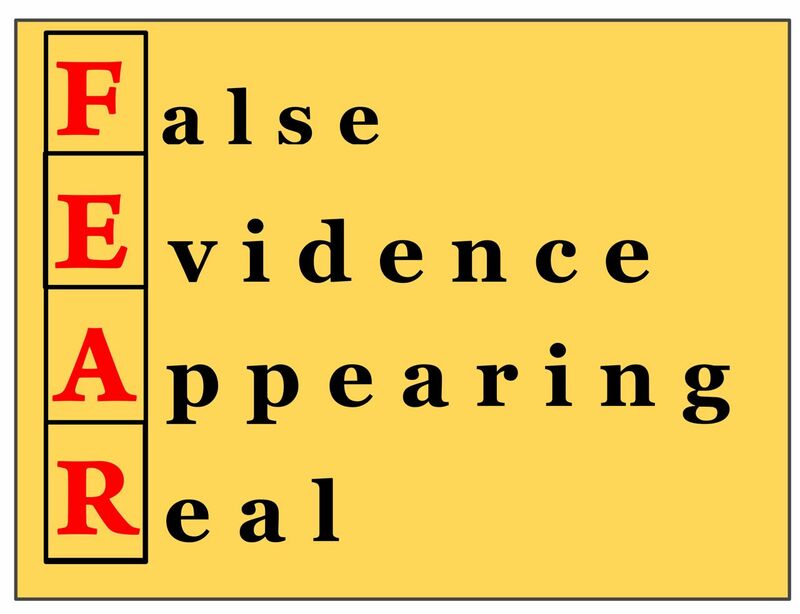 If fear weren’t irrational, why would the #1 fear be public speaking? 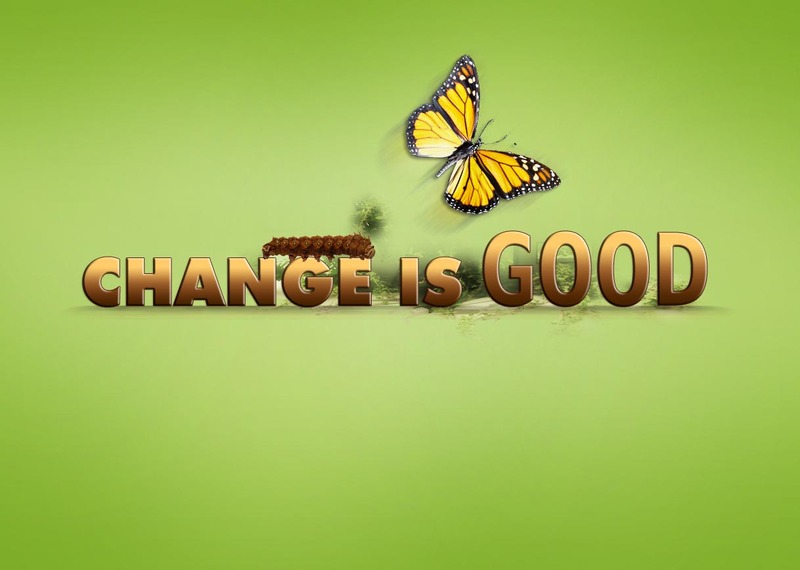 Embrace your faith today and watch as your world begins to change. You’ll begin to do things that fear once held you back from doing. And it will be Amazing!! Trust that. Trust the universe and most importantly trust in yourself. Since I was a teenager, I was consumed by the desire to “find myself;” I just wanted to know what my purpose was, and still do. 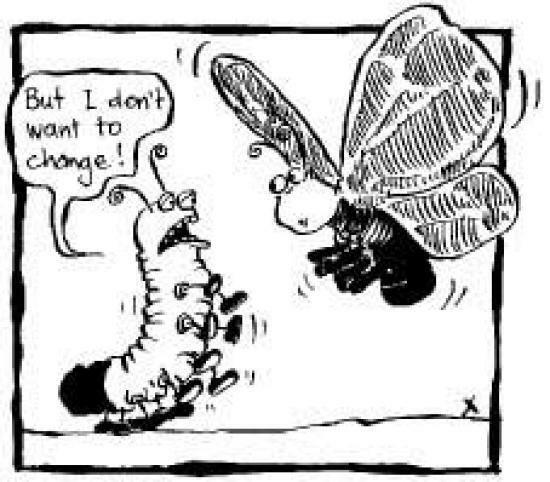 Are you like this too? Do you agonize over decisions in your life because you are not sure whether to follow that “inner voice,” the one that is driven by your heart, or the logical critic, the one that makes “the most sense” in many ways but isn’t necessarily aligned with your purpose. I’ve been experiencing this duality in my life a lot lately—run-ins with my heart and my mind—and I’ve been feeling as if the life decisions that I will possibility be faced with in the coming months will determine the rest of my life and it has been scaring me tremendously. 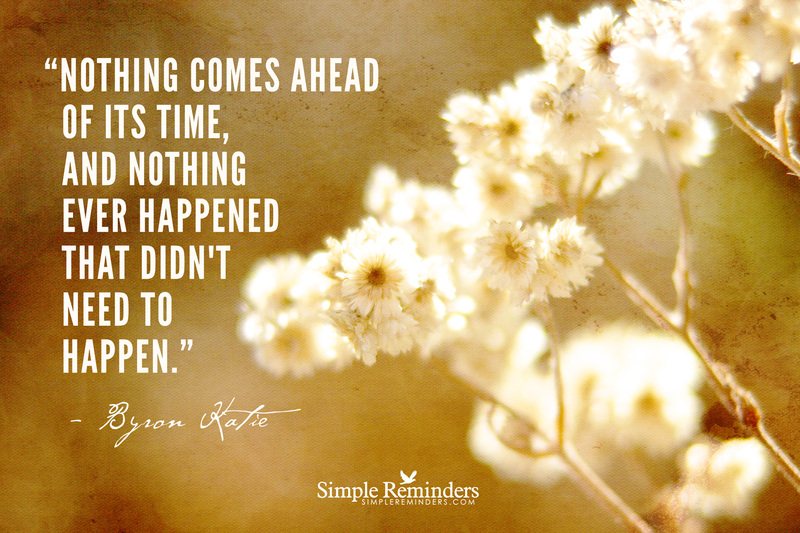 As seen on Simple Reminders…. 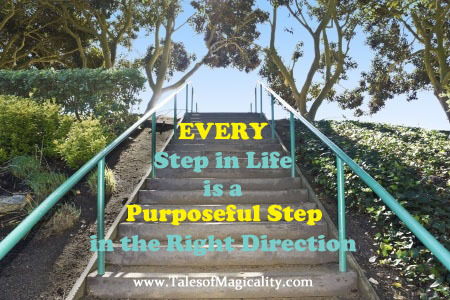 “Every step in life is a purposeful step in the right direction. All things are connected—every move you make, every decision. And although it can be hard to believe things will work out, they will. It might not be in the order you expect or include the steps you figured on but you will always be brought to where you should be. Don’t fret about all the possible challenges you could face ahead, or stress about things working out how you hope. Have faith in the decisions you make, as you make them, because they make you who you are. Nothing is for naught. Everything has a purpose. If something isn’t forever it is because it wasn’t meant to be forever. Let that fact stand. It is okay. Just ride the wave to the next place you are meant to go, enjoy it while it lasts and then allow yourself to move on when the time comes; allow yourself to evolve, to grow, to learn, to experience and teach! We all have something to share and where you are in each moment of your life, and what you know at that time, is exactly what is meant to be. So believe in the purpose of everything. 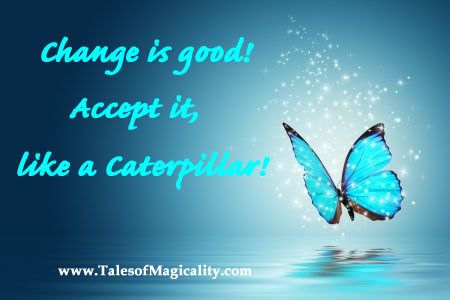 Be aware and follow the Signs of Magicality as they present themselves to you. Allow things to unfold on their own, without feeling the need to be in control of every aspect of everything, all the time. 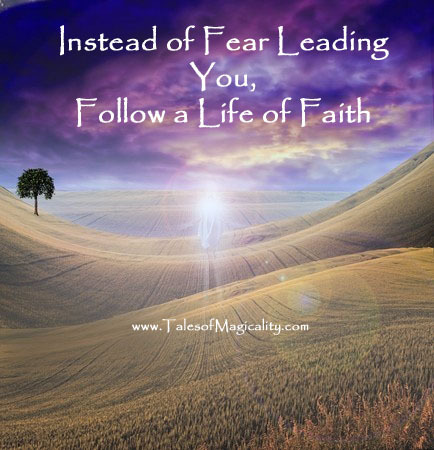 Have faith in the divine within you, guiding you down the correct paths and offering you signs to follow. I hope these words can bring you the comfort they brought me, and help you feel less trapped by your decisions. 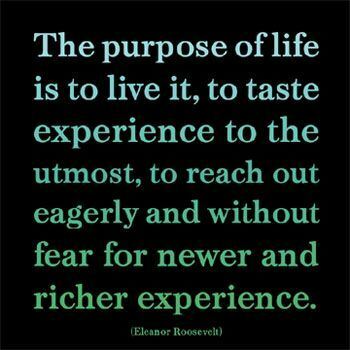 Here’s to finding joy and gratitude in every one of your purposeful steps!